Over the last few years I have developed an interest in photography inspired by the local landscape. Living on the edge of the New Forest in Hampshire provides a wealth of inspiration with woods, open heath and coastline. This initial interest in landscape photography has developed and led me to experiment to find a more abstract style that reflects my connection with the environment. I'm a largely self taught photographer, starting aged 15, with a back ground in wedding and portraiture. I now work for a photographic retailer teaching photography to customers, my biggest passion in life is landscape photography and all that it has to offer. 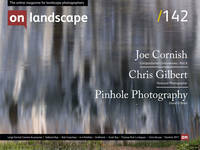 I am a Landscape photographer specialising in depicting bodies of water; rivers, lochs, and the sea.